Gorokhova Natalya E. Kursanina Elena E. Maevskaya Vera A. The article presents a new approach to improving the quality of teaching foreign languages in non-language universities that is based on the philologically oriented educational process, facilitating integration of teaching and shaping a well-balanced personality of a student. 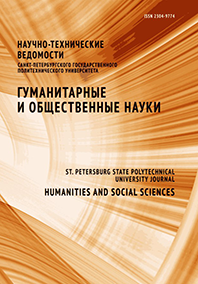 We have analyzed the main issues in the foreign language teaching system in economics universities, associated with restructuring of Russian professional education and transition to multilevel training of specialists. We have proved that literary works should be used in the process of teaching vocationally oriented foreign language as a means of increasing students’ motivation, communicative activity and activity-oriented approach to instructions should be employed, along with individualization as the foundation of the personality-oriented system of education adopted in the university. We have described the experience of testing a new textbook based on extracts from authentic classical and modern novels and plays structured in full accordance with the professional orientation provided by the university training program, including customs business and trade. We have studied the efficiency of this approach to the learning process by methods of experiment, observation, questionnaire and tests as well as by statistical and qualitative analysis. Teaching and developmental tasks, exercises and game techniques employed in testing the textbook can be useful for authors developing innovative teaching resources and for foreign language teachers interested in improving the quality of education.